Federal prosecutors have exposed fraud within the UAW and called into question the collective bargaining agreements ratified in 2011 and 2015 with FCA. Will this scandal spread? Here is a timeline and our list of key players. DETROIT — The UAW's traditional tactics of walkouts, sit-ins and strikes can't help it fight the latest threats to its fading influence. The union, already weakened by the proliferation of foreign auto plants in the South, low-wage competition in Mexico and decades of factory closures on its home turf, is now reeling from a haymaker delivered by its own leadership: a $4.5 million corruption scandal reigniting complaints that the UAW has gotten too cozy with company executives. Some believe the malfeasance uncovered by federal authorities could deal a crippling blow to the union, devastating the broader American labor movement as well, following several failed attempts by the UAW to organize plants and with right-to-work laws now letting dissatisfied members in Michigan and other states opt out. UAW dissidents see the situation — years of funneling money meant to train workers into the pockets of union and company officials instead — as an opportunity for profound change. They're urging rank-and-file members to "take back" the union from leaders they claim are overly willing to comply with employers' requests. "We went away from being trade unionists to company unionists," said Marty Marcum, a 20-year General Motors-UAW member who is part of Local 440 at the automaker's Bedford Casting Operations in Indiana and is leading an effort to challenge the leadership-approved slate of candidates in this year's quadrennial election. "I find it to be the biggest cancer that is bringing our union down." The UAW's leadership, on the other hand, contends that this is just another contentious period in the nearly 83-year-old union's history that it will get through. "The UAW has weathered many storms over the years — been through bad economic times, long strikes, relentless and vicious organizing drives," President Dennis Williams said in December. "We have also at times withstood investigations that have tested our goodwill." 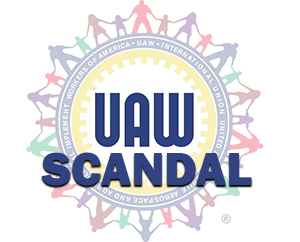 Art Wheaton, a labor expert with the Worker Institute at Cornell University, said he doesn't think the scandal will lead to the demise of the UAW. But Wheaton expects some restructuring and tightening of the joint training center operations at the center of the federal investigation. He also isn't counting out dissidents such as Marcum. "In terms of having the rank and file not being happy and voting in a new slate with a new promise," said Wheaton, who used to lead joint training and educational courses for company and union officials with GM and Ford Motor Co., "I don't think you can discount that possibility." Much of what happens next for the union depends on how much, if any, the training center scandal spreads before the UAW Constitutional Convention in June, when a new slate of leaders is to be elected. Williams, who has reached the union's mandatory retirement age of 65 for officers, is not up for re-election. Marcum, 55, has organized a "reform caucus" of rank-and-file members who are trying to woo local union delegates through social media, phone calls and a May rally planned outside the UAW's Solidarity House headquarters in Detroit. "At this point in time, this leadership is as vulnerable as it's ever going to get," Marcum said. "It's hit rock bottom, or I wouldn't be doing what I'm doing." Overthrowing the leadership-approved slate of officers was attempted in recent years but has never come close to succeeding. The UAW nominates top officers not by a direct vote of members, but through an "administrative caucus" — a group made up largely of union officers — that makes it difficult for nonsanctioned leaders to be elected. "The incumbents have a tremendous advantage going into the convention," said Kristin Dziczek, director of the industry, labor and economics group at the Center for Automotive Research in Ann Arbor, Mich.
Barring indictments of more union leaders, Dziczek said it seems "highly unlikely that the challenge will be very effective" for any opposing leadership slates. The most successful opposition was the New Directions Movement, led by union activist Jerry Tucker. The group, which formed amid the joint training center programs in the 1980s, rallied around the idea of more progressive leadership and an "anti-jointness" movement, according to Mike Cannon, a longtime friend and assistant of Tucker, who died in 2012. "Those basic two points are the issues we organized around and it just kind of grew from local to local," said Cannon, a retired UAW member of 38 years. Tucker was elected as a regional director but only served a small portion of his three-year term because of a prolonged appeal process of the voting results that started in 1986. He ran for the union's presidency in 1992 but garnered only 5 percent of the convention delegate votes against incumbent Owen Bieber. "It just kind of shows you it is difficult to amass a large number of people to take on the administration," Cannon said. "It's a pretty daunting task because the system is not set up to allow insurgence or any opponent to take over the union." Possibly helping to increase support for dissidents at this year's convention will be a union request that workers reapprove a contentious dues hike that passed at the 2014 convention — the first since the late 1960s. If the request fails, minimum monthly dues revert back to the previous rate, which is a half hour's pay less per month. Current UAW leaders assert that kickbacks given to then-Vice President General Holie- field and others could not have impacted collective bargaining agreements in 2011 and 2015. "There's just no truth to the allegation that the terms of the collective bargaining agreement were compromised by [Alphons] Iacobelli's crimes," Williams wrote in a Jan. 26 letter to members, four days after the former Fiat Chrysler Automobiles executive pleaded guilty in federal court and admitted he diverted more than $1.5 million to UAW officials and representatives. Some in the union find that hard to believe. 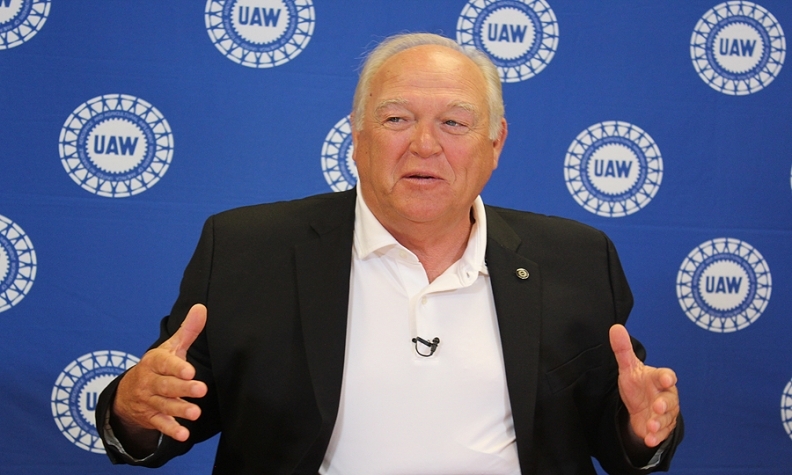 There has been a growing backlash from members since the case was made public in July, including a lawsuit filed in January that accuses UAW and FCA US officials of collusion and seeks class-action status. The union and companies have said for decades — most recently after the government-backed bankruptcies of GM and Chrysler — that cooperation was essential to stay competitive in the global automotive industry. There's also been strong outcry in rank-and-file groups on social media — a tool that New Directions didn't have, and one that helped build the opposition that defeated a leadership-endorsed contract agreement with FCA in 2015. Thus far, four people — two from FCA and two linked to the UAW — have been charged and entered guilty pleas in the case, while several others have been charged but not yet identified in publicly available court documents. Williams said the UAW has terminated "several" officials the union found to be involved in the scandal. Others involved are believed to have retired from the union. Holiefield died in 2015. Norwood Jewell, who has been implicated in the scandal but not yet charged, retired at the end of last year — six months before his term ended. Joe Ashton, a retired UAW vice president, suddenly resigned from his position on GM's board of directors in December, a month after The Detroit News reported that federal investigators were "interested" in him and Cindy Estrada, his successor leading the union's GM department. A source with knowledge of the investigation later confirmed that interest to Automotive News. Estrada has said she will seek re-election in June. Outside of the Detroit automakers, the union lost an organizing vote last August at a Nissan Motor Co. plant in Mississippi that occurred a week after the corruption scandal was made public.